Liverpool needed an easier win and got it against Porto in the Champions League at Anfield. 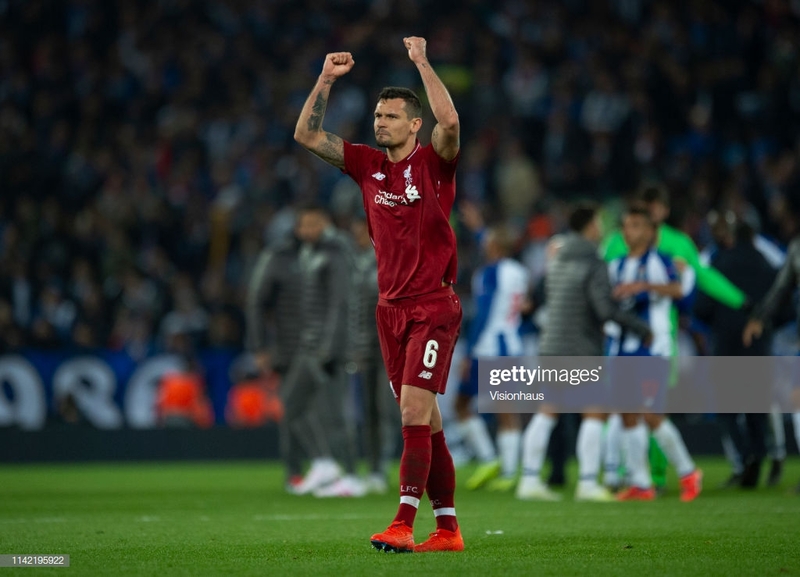 After an eternity of close battles and last-gasp successes, Liverpool’s 2-0 victory against FC Porto in the Champions League was as satisfying as it was comfortable. The Portuguese side had their moments at Anfield, particularly through Moussa Marega, but ultimately Liverpool were hardly pushed by Sérgio Conceição’s side, cruising through the second half with a solid win and a vital clean sheet to take to Portugal next week. Tuesday night was a great demonstration of how far Liverpool have progressed in the last year under Jürgen Klopp. Whilst the Reds produced fabulous performances in the knockout stages of last year’s Champions League campaign, most notably the 3-0 success at Anfield against Manchester City, there was always a need to blow the opposition away quickly. Each match, especially the big ones, would see Liverpool set off attempting to score a barrage of goals in order to protect themselves at the other end and when they would tire towards the end of games. Liverpool’s defence, whilst improving, remained vulnerable, and the ultra-pressing that Klopp’s side were known for meant they were susceptible to conceding late goals. Comebacks from Sevilla and Arsenal last season are examples highlighting both of Liverpool’s prior frailties. Even a 5-0 lead against Roma in the Champions League semi-final last season was not enough to stop the home leg, and the overall tie, from becoming cagey, nervous and too close for comfort, especially given the number of goals Liverpool had scored themselves – nine across both legs. This season, control has come to Anfield. Liverpool have such confidence at both ends of the pitch that they do not feel they have to go chasing a game from the outset. The Reds have become far more proficient at breaking stubborn teams down, hence their superb league record this season against teams outside the so-called ‘Big Six’. Liverpool remain capable of blitzing teams if needed, or scoring late goals as they have demonstrated in recent weeks, but are now known for dictating games and winning efficiently, improving their consistency this season as a result. It was no different on Tuesday night. Porto are a very good side, challenging once against for the league title in Portugal, but they would probably represent a mid-table side in the Premier League, and Liverpool’s performance in the match reflected such a status. The Reds were not at their brilliant best, but turned it on when needed to secure a comfortable victory and a clean sheet without being too concerned by Porto’s attack, Marega’s moments notwithstanding. Confidence will be high that they can progress once again to the semi-finals, with one away goal in Portugal meaning Porto would have to score at least four to progress themselves. Liverpool’s belief that they could challenge for club football’s biggest prizes was strong at the start of the season, and there has been no wavering of that belief throughout – in fact, the belief has gotten stronger as the Reds continue to keep pace with Manchester City in the Premier League alongside their Champions League campaign. Reds Revenge in Latest Title Clash with Chelsea? Liverpool saved energy in a Champions League quarter-final, which is always a bonus, but it is energy they will need against Chelsea on Sunday. Most likely the toughest fixture remaining in their Premier League run-in, on paper at least, Chelsea represents the last of Liverpool’s ‘Big Six’ league clashes this season, and the away side have not tasted defeat at Anfield since 2012. Eden Hazard also tends to perform well against the Reds, having most recently scored the winner in a League Cup tie between the two sides back in September. The brilliant Belgian was on top form in Chelsea’s last league match against West Ham United, scoring both goals in a 2-0 victory which has sustained their own strong challenge for a top-four finish and Champions League football. Chelsea are also the favourites for the Europa League crown, their alternative avenue towards Europe’s top table for next season. Hazard and Chelsea will be determined to finish this season with a flourish, especially as the two are expected to part ways in the summer with the former likely heading for Spain and Real Madrid. Chelsea will be aware of their superb record at Anfield and Hazard’s individual performances against the Reds, though he was not involved in Chelsea’s most memorable Anfield victory – the 2-0 triumph in 2014, brought upon by Steven Gerrard’s slip when the Reds were closing in on the Premier League title. Manchester City claimed glory instead, and once again Liverpool are back battling the blue half of Manchester five years on. This time, they will want revenge on Chelsea, to end their unbeaten run at Anfield. Also to ensure Maurizio Sarri’s side do not finish their title hopes for the second time in succession. With all of the hype, pressure and expectation surrounding this game, and most likely all of the league games to follow if Liverpool still have a strong chance of Premier League success, any respite as they progress in the Champions League will always be welcomed. Particularly as Barcelona and Manchester United will not be so kind in the semi-finals, should Liverpool finish the job against Porto next week. Liverpool needed a comfortable game on Tuesday, as there will be no more room for comfort this season. The race for glory is most certainly on now, starting again on Sunday.